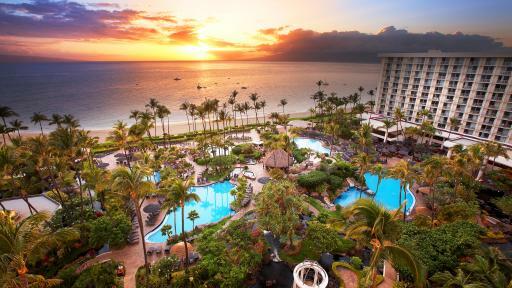 Set on beautiful Ka'anapali Beach with views out over Lanai and Molokai Islands, The Westin Maui Resort and Spa offers stylish accommodation just minutes from Lahaina Town and the Kahului Airport. 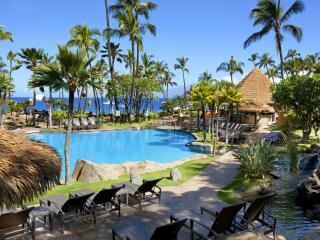 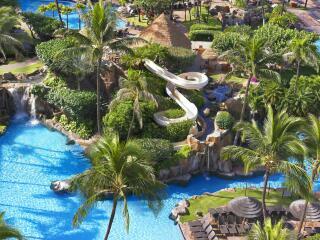 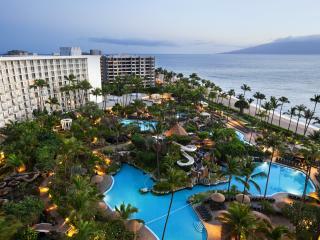 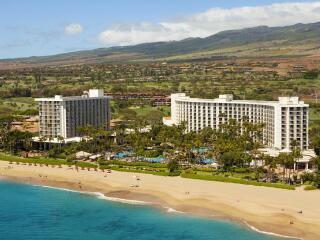 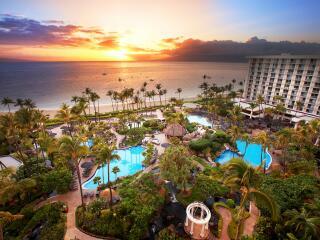 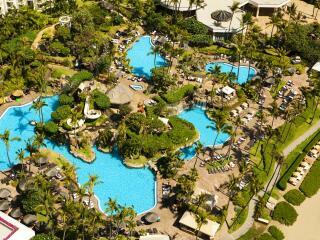 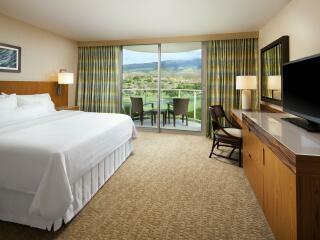 Accommodation at The Westin Maui Resort and Spa offers luxurious rooms and suites spread over two 11-storey towers. 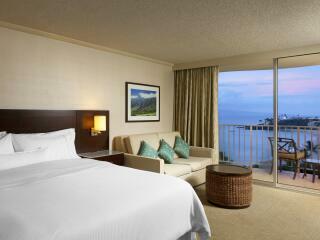 Rooms offer spectacular garden, waterfall, mountain or ocean views from their private balconies. 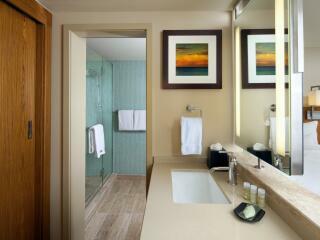 All rooms feature a coffee maker, mini refrigerator, hair dryer and an iron and ironing board. 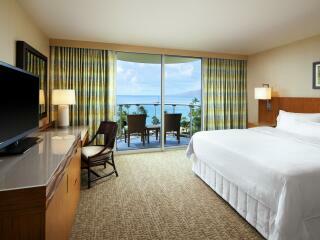 High speed internet access is also available from the comfort of your own room or the resort's lobby. 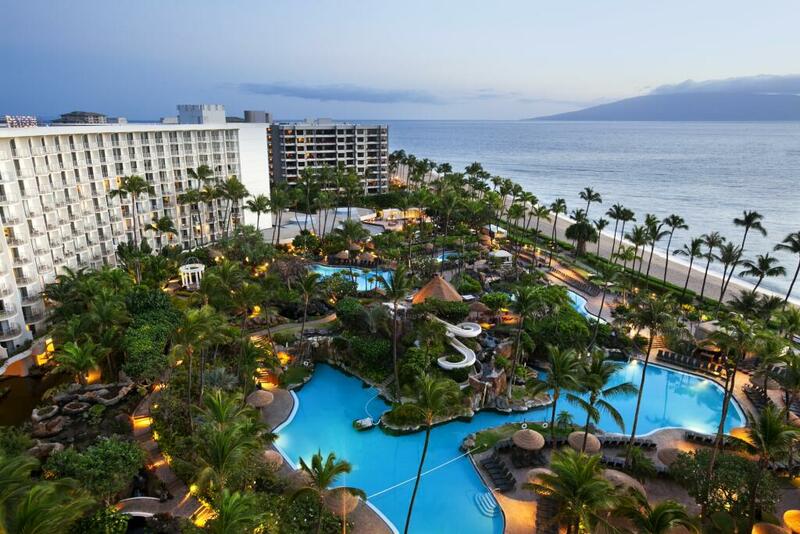 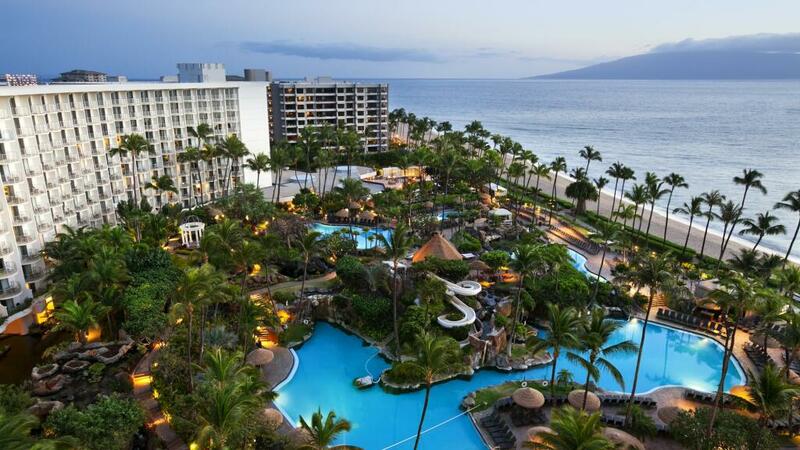 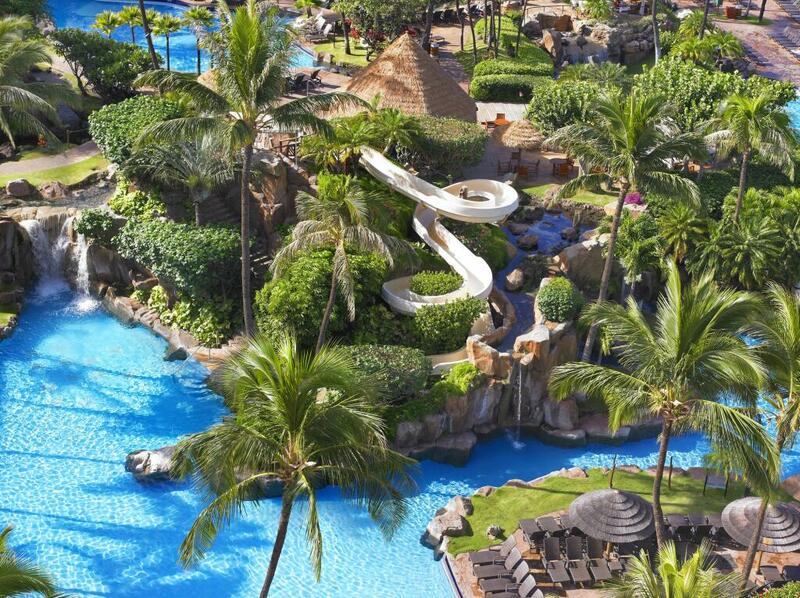 The Westin Maui Resort and Spa offers a wide variety of onsite facilities and activities including an aquatic playground complete with 5 swimming pools, restaurants, bars, fitness centre, direct beach access, shopping arcade and kids club. 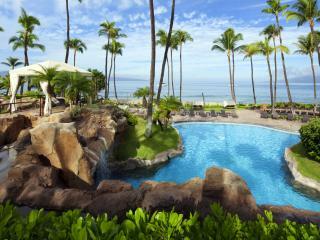 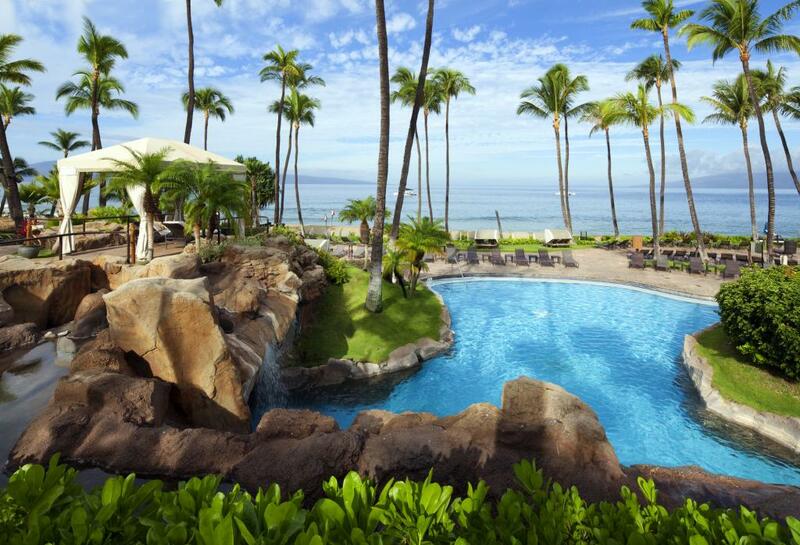 The Westin Maui Resort and Spa is also home to Heavenly Spa by Westin. 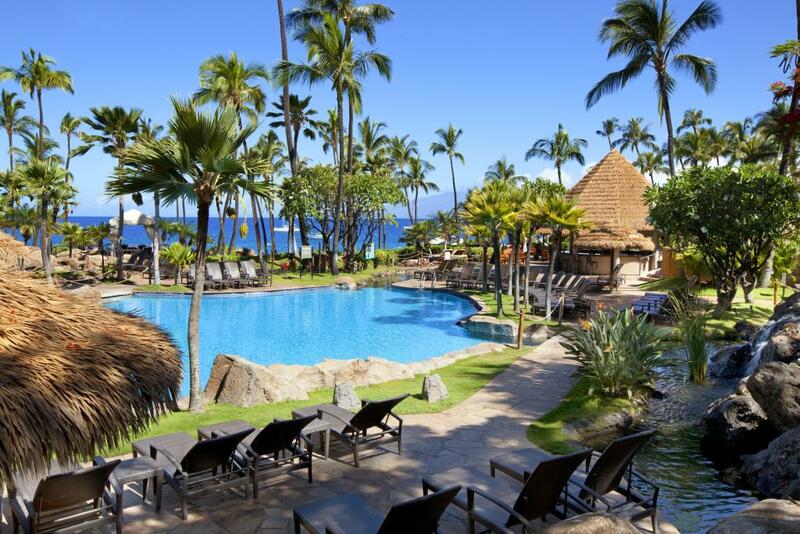 Featuring 16 treatment rooms and 8 massage rooms, Heavenly Spa by Westin offers a wide selection of spa treatments including massages, facials, manicures, pedicures and make up. 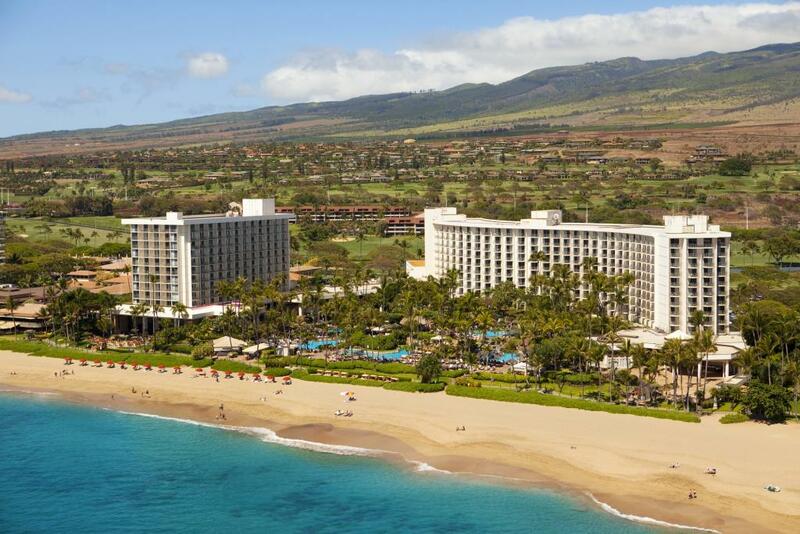 The Westin Maui Resort and Spa is approximately a 10 minute drive from Kapalua Airport or a 45 minute drive from Kahului Airport. 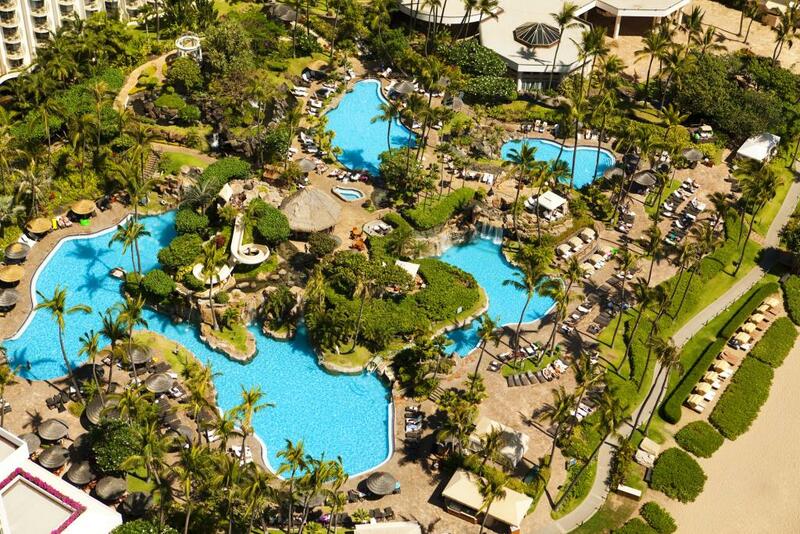 The resort is close to Hawaii's only oceanfront shopping destination and a wide range of leisure activities and sightseeing is within easy access. 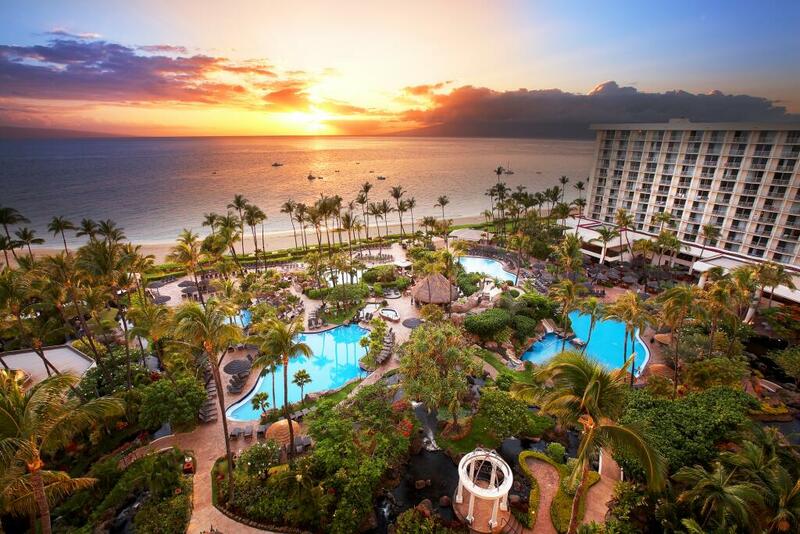 With its ideal location and beautiful beaches, The Westin Maui Resort and Spa offers the best of both worlds and is a popular choice of accommodation for visitors wanting a relaxing Hawaiian holiday. 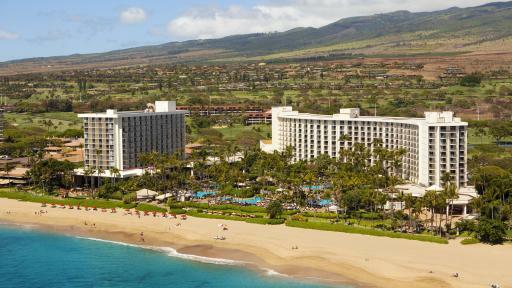 Accommodation at The Westin Maui Resort and Spa features two 11-story towers featuring guest rooms and suites with private balconies and mountain or ocean views. 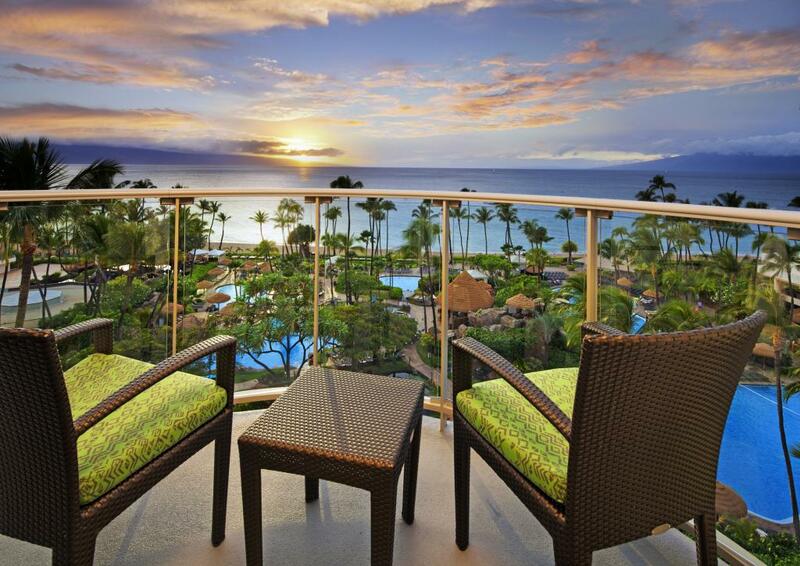 Garden View: Located in the Ocean Tower with private balcony (lanai), offering tropical garden views. 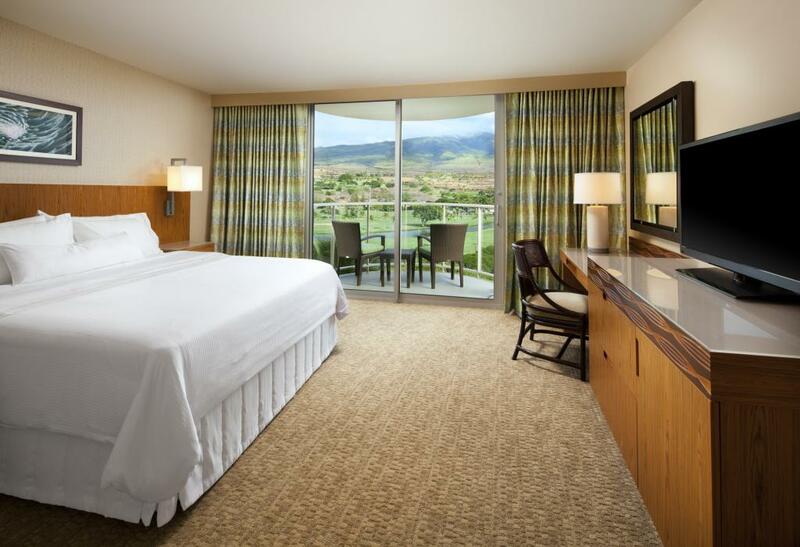 Mountain View: Located in the Ocean Tower with private balcony (lanai), offering views of the West Maui Mountains and Ka'anapali Golf courses. 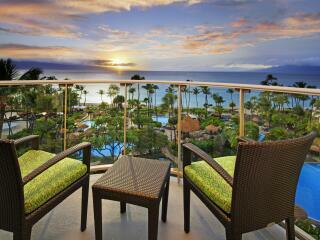 Ocean View: Features a private balcony (lanai) with views of the Pacific Ocean. 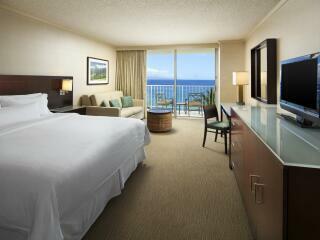 Superior Ocean View: Offering unobstructed views of the Pacific Ocean from the higher levels of the Ocean Tower. 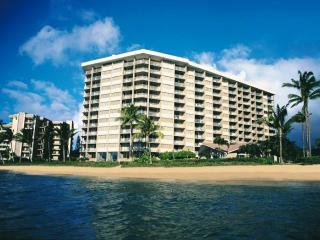 Deluxe Ocean View: Located in the Beach Tower, featuring private balcony (lanai) with panoramic Pacific Ocean views. 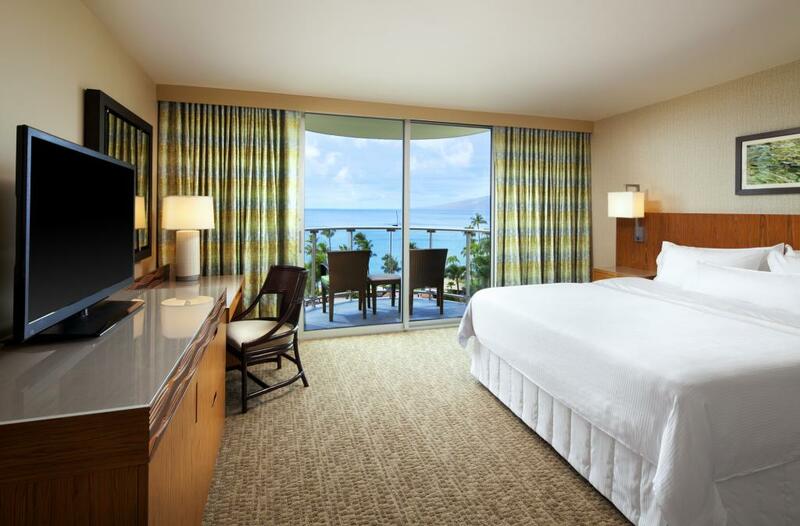 Premium Deluxe Ocean View: Offering comfortable sitting areas with private balcony (lanai) and panoramic Pacific Ocean views. 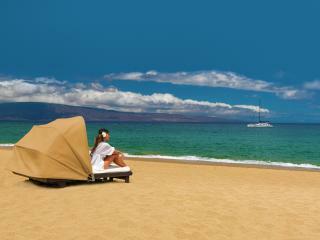 Luxury Ocean Front: Offering panoramic views of the ocean as well as Molokai and Lanai islands. 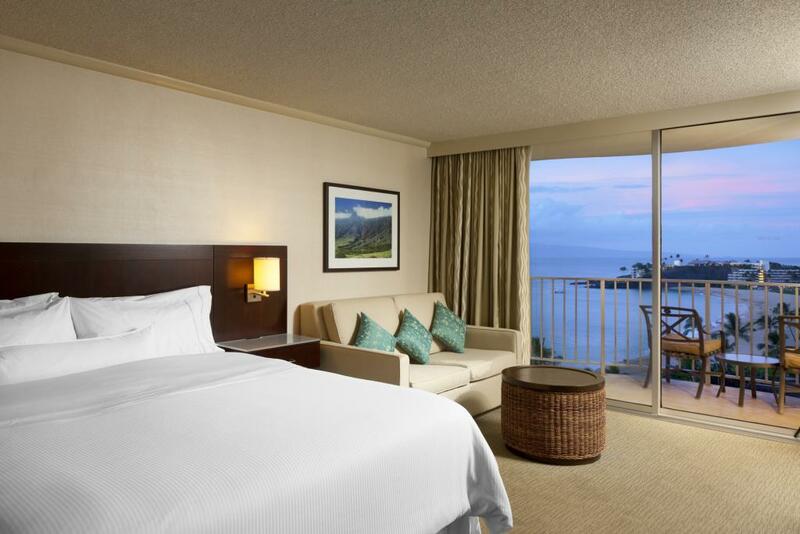 Premier Suite: Offering stunning coastline views these suites feature separate a living area. 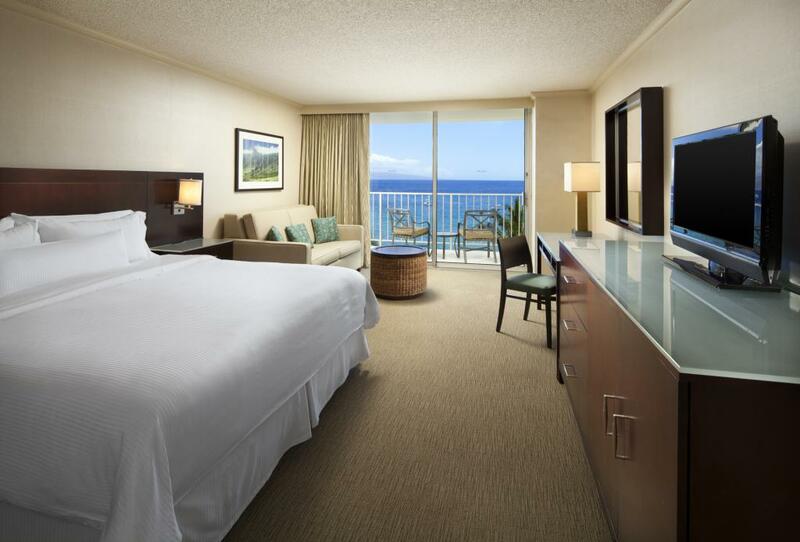 Executive Suite: Located on the higher floors of the Ocean Tower, these suites have glass sliding doors that open onto the balcony with amazing ocean views. 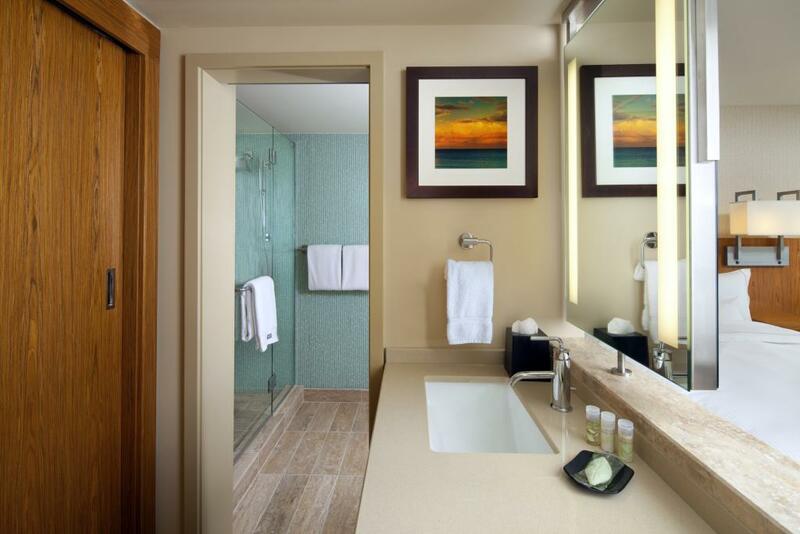 Luxury Suite: Featuring a separate living area with a wet bar and bathroom with a separate shower and spa bath. 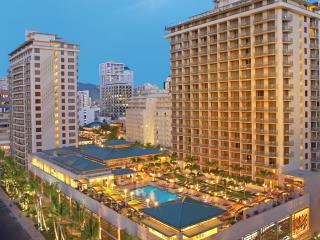 Relish Burger Bistro: Offering all day dining with classic American burgers on the menu with a twist. An extensive beer menu is also available. 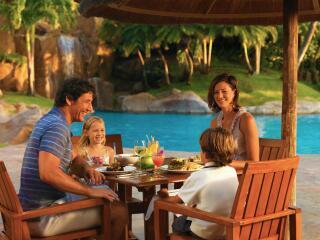 Colonnade Cafe: Offering fresh fruit, baked goods and Starbucks coffee, located next to the wildlife ponds. 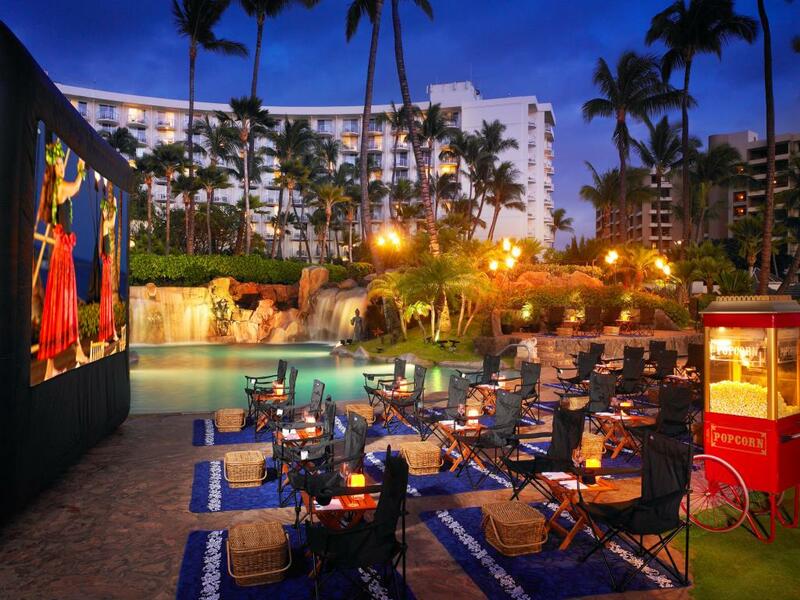 Beach Bar: Open daily for appetizers, tropical cocktails and cold drinks with an oceanfront location. 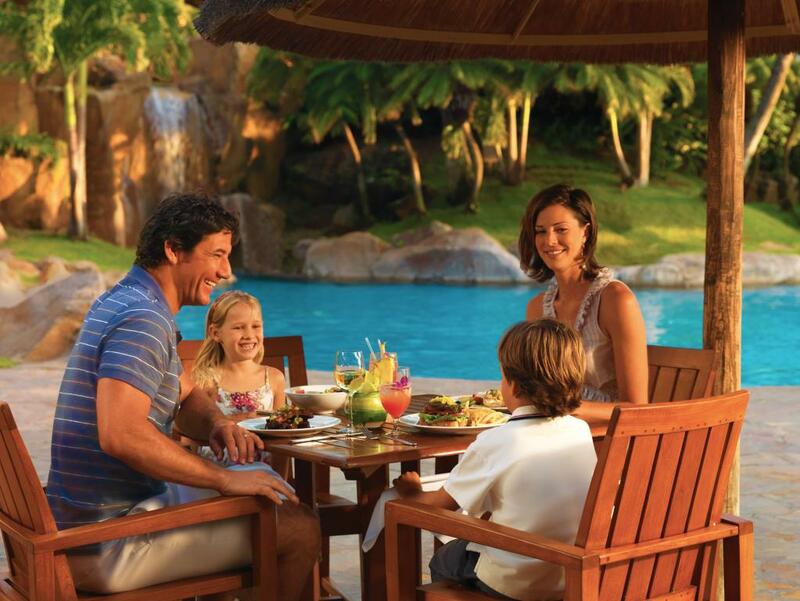 Seadogs: Located poolside, offering beverages, ice cream, popcorn, sandwiches, hotdogs and pizzas. 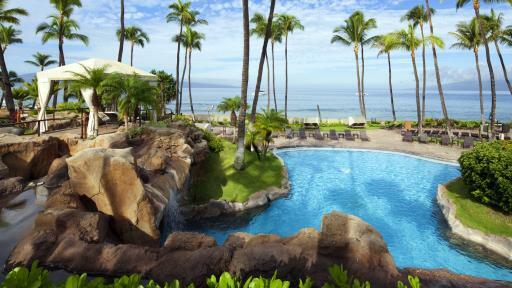 Heavenly Spa by Westin: Relax with an indulgent range of massages, full body treatments, spa therapies and a full-service beauty salon. Westin Kids Club: Available at an additional cost for children 5 - 12 years of age. 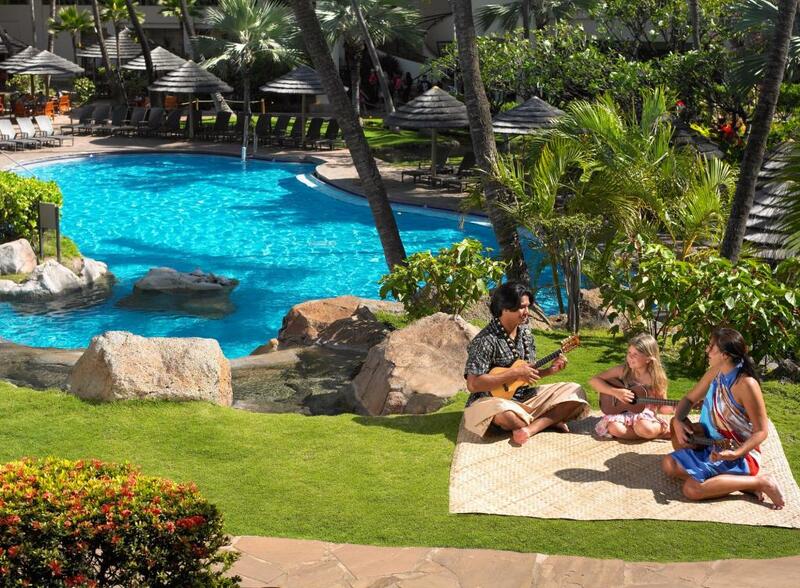 The Westin Kids Club Discovery Room offers a variety of daily activities throughout the day including swimming, air hockey, games and more.